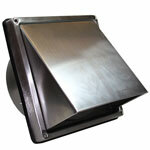 • Fire-resistant – Tested to and complies with BS476, parts 6, 7 and 20. 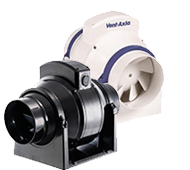 • Complies with the requirements of DW144. 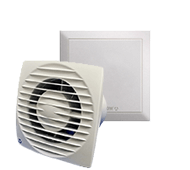 • Plain and pre-insulated types available. 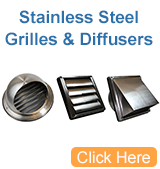 • Duct construction provides low friction loss. 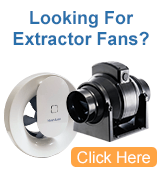 • Suitable for high, medium and low pressure applications. • Individually cartoned 10 metre lengths. 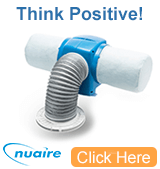 • Ultra flexible puncture resistant ducting. 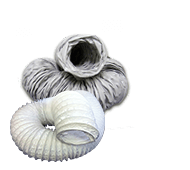 Tecflex 400 is ideal for use in high, medium and low pressure air conditioning systems where a quality uninsulated flexible ducting is required. 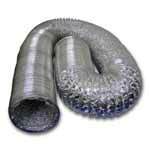 Fully extend ducting, then cut to exact length required using a sharp knife and pliers. We recommend that joints be sealed on medium and high pressure applications using Tecseal or Tectape XT. 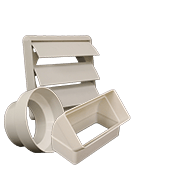 To fix Tecflex 400 to spigots we recommend the Tecfix banding or clip system.